The dust is starting to settle, and the Dallas Cowboys roster for 2018 and starting to become clearer and clearer as we approach training camp and the upcoming NFL season. After all of the drama from free agency surrounding Dez Bryant, to the retirement of Jason Witten and the NFL Draft, Cowboys Nation is getting closer to seeing a brand new team. 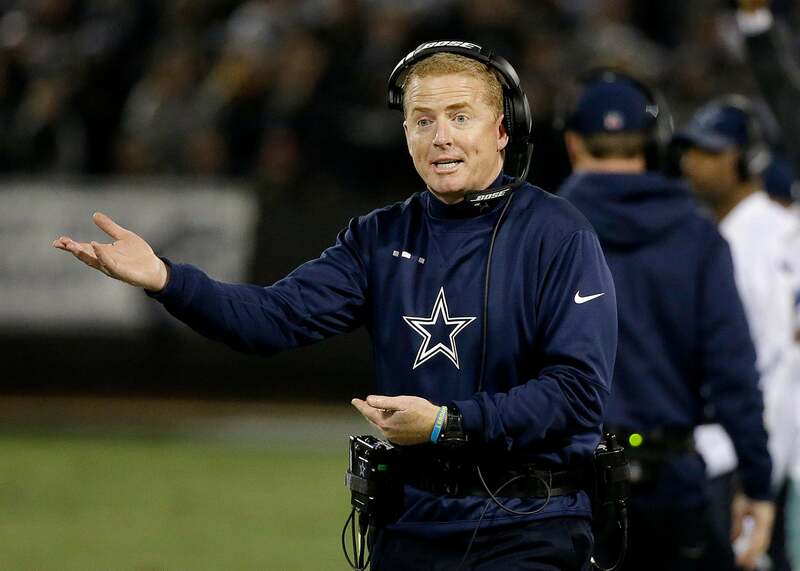 A big question at this juncture, however, is did the Cowboys really improve from 2017? They added new pieces, got some new toys in a few trades and now can see a tiny glimpse into the future of the squad. But did they improve? People everywhere who follow the Cowboys knew what they needed to address the most after the 2017 season: Wide receiver, defensive tackle, guard, linebacker, safety, and eventually tight end was pushed as a bigger priority with the subsequent retirements of James Hanna and Jason Witten. As far as if the team improved, we'll have to break it down. 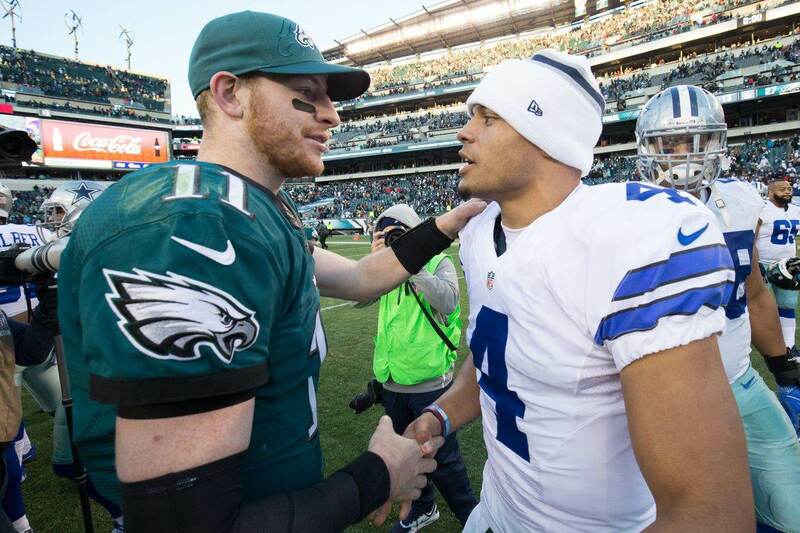 There's no question that Dak Prescott is the starter and the presumed quarterback of the future. Cooper Rush came in as an undrafted free agent from Central Michigan and outplayed Kellen Moore in the preseason, eventually becoming the new backup quarterback. In a surprising move, the Cowboys used a fifth round pick on Western Kentucky quarterback, Mike White. White was a name that rose up draft boards as a solid developmental project. In his final two seasons as a starter, he was able to throw for 8,540 yards, 63 touchdowns and complete 66.5% of his passes. The player, himself, isn't bad. In fact, some draft analysts had Mike White as a third round prospect, and Dallas got a two-round value out of it. What it does bring into question, however, is if Cooper Rush's job is in jeopardy? Is this move strictly for competition? Will the team decide to keep all three? Did the Cowboys waste a pick? In terms of skill, all of these players are quality quarterbacks, but using a draft pick on a quarterback, after Cooper Rush seemed to have earned the job, only raises more questions instead of answers. The team will have time to answer but for right now, this doesn't seem like a smart move. The Cowboys backfield is the team's car, and they only really needed some gas. What they got instead was an Xzibit-style pimped out makeover. 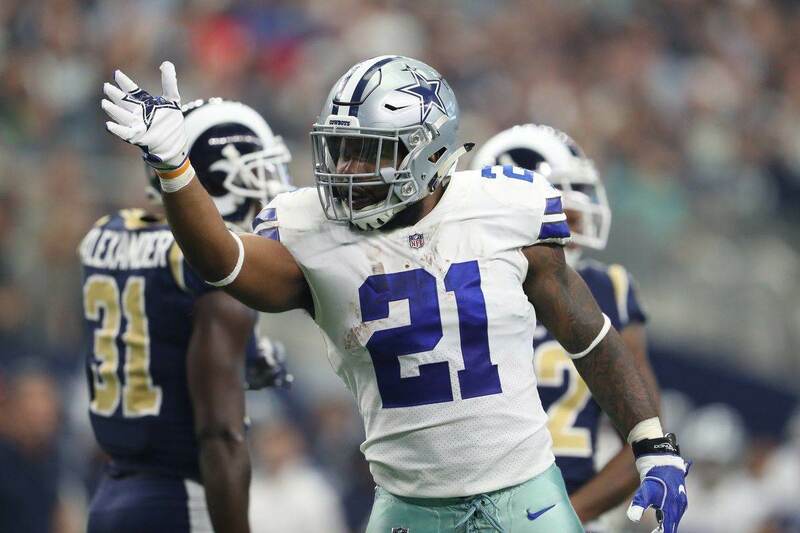 Ezekiel Elliott is one of the game's young superstars and is firmly sitting in the driver's seat. After serving his 6-game suspension last year, Elliott looks ready to get back into the game. Rod Smith offered not only some solid backup effort, but position flexibility and special teams play. Smith was all over the team last season; at tailback, full back, slot receiver, kick returner. It seemed the team would add a 3rd down back, which they did by trading with the Rams. In exchange for a sixth round pick, the Cowboys got for former first-rounder Tavon Austin, and then followed it up with announcing intentions to play him exclusively at running back, adding speed and hands that the backfield needed. Thought they were done? Nope. In the 7th round, the Cowboys added one of college footballs most punishing runners, Bo Scarborough from Alabama. A physical back who should be looking forward to running between his new center and right guard. The backfield already looked set, but adding this beast is just overkill in the best way. The last brick has been lain and the Great Wall of Dallas is complete. Not only does the team have their starters, but they have a great collection of backups who can step in and play well for the squad. Left guard was a big need for the team. Johnathan Cooper did a solid job last season, but not so well that the team was giving him an extension. Instead, they looked 201 miles South to University of Texas Offensive Lineman Connor Williams. An All-American tackle, he looks set to step inside next to Tyron Smith and solidify arguably the best offensive line in football. Another question was the swing tackle, the tackle who backs up both La'el Collins and Tyron Smith on both sides. Last season, the job was split between Chaz Green and Byron Bell, with undesirable results. The Cowboys improved in that department by signing Cameron Fleming, a player some thought would get starter money, but instead went to Dallas at an affordable rate. In New England, he started 20 games in four seasons, and only allowed 7 sacks during that time. Adding Fleming gives the Cowboys and their fans some relief and relaxation in the event one of the tackles is hurt. I'm not sure how losing your number one and two tight ends in the same off-season can possibly make you think the position has improved. Full disclosure. Jason Witten, one of the game's greatest tight ends who will be in the hall of fame one day, and James Hanna occupied the tight end one and two spots for a number of years. Witten was a reliable receiver and both were good blockers throughout their time. Remaining on the depth chart are a bunch of question marks. Geoff Swaim has largely been a blocking tight end and only has nine career receptions going into 2018. Rico Gathers has shown a lot of promise and talent during his time in the preseason, but hasn't yet been able to see the field. Blake Jarwin has plenty of skill, but is still very raw. Finally, the Cowboys 4th round selection, Dalton Schultz, from Stanford, is not a very polished receiver but is an excellent blocker. It wouldn't surprise me to see him be one of the starters in 2018. I would expect a rotation of all four tight ends in 2018 to find the next starting pair. James Hanna can be replaced but no one will ever be able to replace Jason Witten. All-time greats don't grow on trees. All the team can hope for is that the position doesn't suffer too much as a result. The good news is that the main core from last season's dominant defensive line is back: DeMarcus Lawrence, David Irving, Maliek Collins, Taco Charlton and Tyrone Crawford. Add the return of promising players such as Lewis Neal and Charles Tapper, the additions of Kony Ealy and Jihad Ward, as well as drafting Dorance Armstrong Jr. and the team looks as deep along the defensive line as it has looked in years. However, a big hole that needed addressing this off-season was finding a permanent nose tackle. Brian Price is a solid rotation player, and Maliek Collins has shown to be much more effective at the three technique. Yet the didn't address the need. I expect the team to add another defensive tackle at some point to better fill the hole. Some options have been a possible reunion with Terrell McClain, who played in Dallas from 2014-16, or possibly undrafted defensive tackle, DeQuinton Osborne, who was the only rookie acquisition at the position. The defensive line was a huge strength for the Cowboys in 2017, and I expect it to be in 2018 as well. Despite the nose tackle spot still being in question, the Cowboys front four rotation looks like it could be one of the league's best. 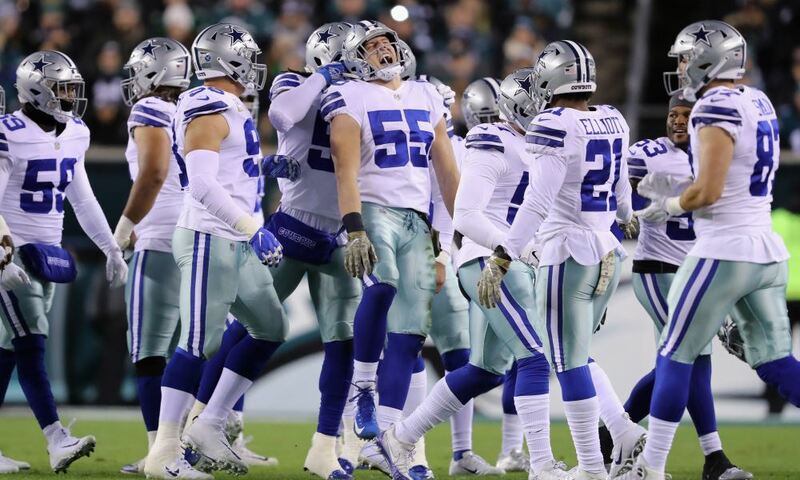 The Cowboys linebacker group took a huge hit this off-season with the losses of Anthony Hitchens and Kyle Wilber. This left the Cowboys with just Sean Lee, Jaylon Smith and Damien Wilson. As a starting group, it's not a bad trio, but the Cowboys had no depth to spare. Even with the off-season addition of Joe Thomas from Green Bay, the team was in dire need of depth. They addressed the need not once but twice in the NFL Draft. They drafted Leighton Vander Esch from Boise State in the first round and Chris Covington in the 6th round. This group won't be able to be properly judged on if it has really improved or not until the team hits the field in the fall, but the depth looks fixed and the linebackers already look like they can be better than they were a year ago. For the first time in a long time, the secondary looks like it will be a strength for the Cowboys and not a weakness. New secondary coach, Kris Richard has come in from the Seattle Seahawks and is looking to revamp a very talented, young secondary. He was the key creator of Seattle's Legion of Boom, which caused terror for quarterbacks all around the league for years. The move from safety to corner looks like a great move for Byron Jones. He'll be paired with second year players Chidobe Awuzie and Jourdan Lewis, on the opposite side and in the slot, respectively. Xavier Woods is the Cowboys' most talented safety and is the most likely to play the free safety position. The other safety spot will either be occupied by an improved, hard-hitting Kavon Frazier or Jeff Heath (The G.O.A.T). The secondary looks as solid and as talented as it has ever looked. With a great coach who can mold the secondary to a level we know they are capable of, all signs are pointing up for the Cowboys defensive backfield. Finally, the position you probably have the most questions about. Sorry for making you wait. No position group has seen more changes this off-season than wide receiver. Let's recap. In an effort to give the team more "Dak-friendly" receivers, the team parted ways with Dez Bryant, who seemed to have chemistry problems with Prescott. In response to that, the Cowboys have options in Allen Hurns and Deonte Thompson and draft picks Michael Gallup and Cedrick Wilson. None of them are the play-maker that Bryant was, but they all have the ability to run crisper routes, which Prescott relies on. You shouldn't be shocked if two or three of these players become main targets in the passing game. A shocking move was the trade of Ryan Switzer after a solid rookie season. With the trade for Tavon Austin, and subsequent position change, Switzer became expendable. It wasn't a popular decision, but it made trimming the receiving core easier. Terrance Williams, Cole Beasley, Noah Brown, Hurns, Thompson, Gallup and Wilson are the receivers on the team currently. However, Dallas usually only keeps maybe five or six on the team. Don't be surprised by anymore trades or cuts to come. The receivers should have better chemistry with Dak Prescott than Dez Bryant had, but don't hold your breath on any big plays you hope can come from this group on day one. Could TE Dalton Schultz Be Cowboys Biggest Surprise In 2018? Lifelong Cowboys fan, who doesn’t mind telling the harsh truth. I’ve got a Bachelors Degree in Electronic Media and Communications from Texas Tech University. I welcome all opinions but I will shut down any troll.